Yellow Blog, Up High in Banana Tree: Low Tide. 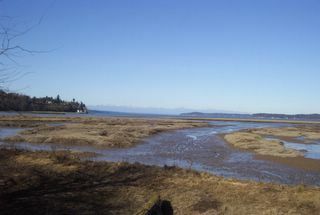 Looking northwest at the mouth of McCallister Creek across the saltwater marsh. 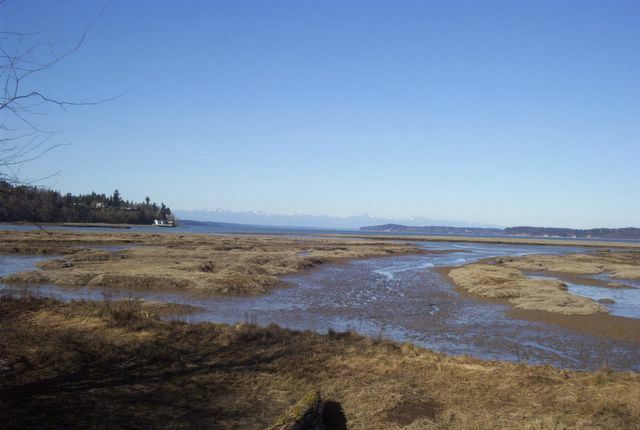 The Olympic mountains are in the distance. This spot is very close to the epicenter of the big February 2001 earthquake.